Witch hazel can prevent and improve acne symptoms through its antioxidant, anti-inflammatory, antiseptic and astringent properties. Witch hazel is a popular herbal remedy which is used internally and externally. It is mainly used in traditional medicine to treat hemorrhoids and skin diseases. Witch hazel or Hamamelis is the general name given to the flowering plants of Hamamelidaceae family. It grows as a or deciduous shrub in North America, Japan and China. While its colorful flowers which grow in bright yellow to orange-red clusters make an ornamental plant, the barks and leaves are extracted for medicinal compounds. The extracts of witch hazel are used in common topical products like aftershave lotions and ophthalmic solutions. They are also used for treating bruises and insect bites. Witch hazel is an effective hemorrhoid remedy and it can be used to treat skin diseases such as eczema, psoriasis and acne. The chief medicinal property of witch hazel is its astringent actions on blood vessels. This herb also has disinfectant, anti-irritant and anti-inflammatory properties. While there are no definitive medical studies on the effectiveness of witch hazel extracts in the treatment of acne, years of use and the positive reports of its effectiveness by actual users show that the herb works for acne. It is possible to show why witch hazel can help reduce the outbreaks and severity of acne from past studies done on its medicinal properties. When witch hazel is applied on a mucosal membrane or soft tissue such as the skin, it shrinks it. This astringent property is helpful in acne treatment for two reasons. First, when witch hazel shrinks the skin, it reduces the sizes of the pores and, therefore, reduces the extent of clogging of those pores by dead skin cells, bacteria and sebum. Secondly, the astringent property of witch hazel can act deep enough at the capillaries feeding the follicle cells. Witch hazel causes the constriction of these blood vessels which means more oxygen and nutrient-rich blood are supplied to the follicle cells. Since the clogging of the skin pores is the first step in the formation of acne lesions such as whiteheads, blackheads and pimples, witch hazel’s astringent action can reduce the formation of new lesions and shrink down those already present on the skin. This astringent property is attributed to the tannins found in witch hazel. Witch hazel contains catechol tannins that help constrict skin pores and push out the dirt clogging them. Yet another benefit of this astringent property is that it keeps the skin dry by reducing sebum production. With a fall in the amount of sebum produced on the skin, there is a lower chance that acne-causing bacteria will colonize the skin and that sebum will mix with dead skin cell and these bacteria to clog the pores. The antiseptic property of witch hazel is really a disinfectant action on the skin. This mild antiseptic effect can help stop the growth of acne-causing bacteria such as Propionibacterium acnes and Staphylococcus epidermis. Witch hazel also has an anti-irritant effect when applied on the skin. It does this by causing a numbing sensation which can help reduce the pain caused by aggravated acne lesions. This anti-irritant effect is backed by the anti-inflammatory properties of witch hazel. The same tannins responsible for the astringent properties of the herb also help reduce swelling. Therefore, witch hazel can shrink pimples, whiteheads and blackheads as well as reduce lumps caused by acne nodules and cysts. The tannins are not the only compounds in witch hazel that contribute to the anti-inflammatory effects. Other plant chemicals that provide this effect in the herb are proanthocyanidins, flavonoids and resins. Witch hazel is best used as an acne mask instead of spot treatment. It can be used solely or combined with other natural acne remedies such as honey. It is especially effective for those with oily skin types. 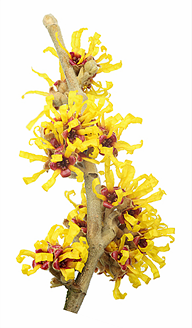 Witch hazel has a smell that many may find repulsive. However, where many acne treatments with similar astringent properties can irritate the skin and cause dryness, this herb is gentle on the skin. It is a natural product that is generally well-tolerated and it does not change the pH of the skin. A witch hazel toner can be prepared with lavender oil and lavender flowers. This formula can be made by adding 6 drops of lavender oil and 1 tablespoon of dried lavender flowers to 1 cup of witch hazel in a glass jar. Close the jar and place it in a cool, dry place. Allow the mixture to steep for a week while shaking it every day. Then filter off the dried flowers and pour the remaining liquid in a dark-colored bottle. You can directly apply witch hazel liquid extracts on the area of the skin affected by acne. This liquid preparation is not intended for oral use but simply as a skin toner. To apply, first shake the bottle and then use cotton balls to take and swab the herbal extract on your skin. Witch hazel should not be applied more than three times per day. There are different witch hazel masks that can also be used in acne treatment. An effective formula can be prepared at home from 1 teaspoon of witch hazel and 2 teaspoons of honey. 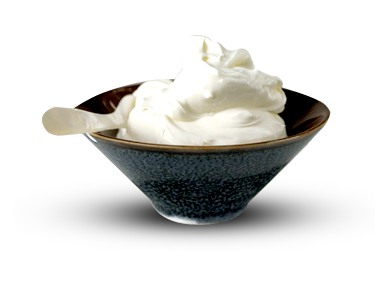 Essential oils such as lavender oil, tea tree oil, egg white and mashed avocado can also be added to form a paste. Apply this paste on the affected area and leave it on for 15 minutes before washing off with cool water. Honey itself is an effective acne remedy. Where witch hazel is only antiseptic, honey has an antibacterial effect. It also contributes to the anti-inflammatory action of witch hazel and is also soothing on the skin. Another simple and effective witch hazel mask can be made by combining the herbal extract with clay powder. Simply mix the two ingredients in equal parts and apply on the skin. Leave it for 10 minutes before rinsing off with a clean, damp wash cloth. Clay also has an astringent property. It absorbs oil from the skin and tightens the skin pores. This formula is especially effective since it improves the astringent effect of witch hazel which is milder than stronger acne medications such as benzoyl peroxide and salicylic acid.